For a summer wardrobe, functionality and comfort are key to maintaining your style as well as your sanity when those temperatures start rising. Don't get caught in that same old tank top and pair of cutoffs! Take a look at the five must-have outfits for the season to get an idea of what to add to your closet. These colorful pieces are not only beautiful but versatile as well. 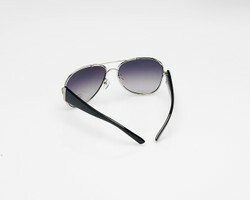 They are comfortable and stylish in any setting and are sure to become a summer staple that will make a statement. Bold prints and airy fabrics make the silk kaftan a perfect summer outfit for every occasion. Pair the frock with some scrappy sandals to go from the beach to a lovely dinner with nary a wardrobe change, but still feel put together. The '50s called and they want their trousers back! Seriously girls, this look is back and it is cuter than ever. High waisted shorts can be paired with almost anything, and for a day of fun in the sun, a crop top packs the perfect punch. If you want to dress it up a bit more, simply opt for a button-down tied at the waist for a simple yet sophisticated look. Chuck Taylors add a little drama to the look, but flip flops will work as well. Another blast from the past, this style was popular in the '60s but is making its' way back into fashion history thanks to the popularity of outdoor festivals. This frock will take the guesswork out of matching, and looks simply adorable with a fringe bag and some funky sunglasses. You can wear it as a coverup over a bathing suit at the beach, or even to the office if the print is mute enough. A timeless classic, the sundress is cute, soft and reliable, kind of like the beloved family pet. When you are in a hurry, this staple is there to pull you together! Light and simple, you can determine the style of this piece by the accessories you wear. A thick braided belt is boldly bohemian, while jewelry gives the look a little more flair. Another versatile outfit, you can mix and match to create the perfect aesthetic for you. Add a cardigan for a simple office look, or some booties and a leather jacket for a cooler night you are planning to spend on the town. Do not be afraid to mix prints and colors, it's okay to be daring! A new season is always a fun way to update your look, or even revamp old pieces into something new and exciting. Many will tell you that in fashion, there are wrong answers, but who needs that sort of negativity in life? If you want to pair purple shorts and a pink polka dot tube top, you go girl! Try something different and fall in love!